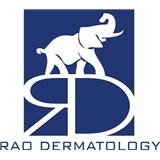 Rao Dermatology (Woodbridge Township) - Book Appointment Online! Our team of board-certified specialists and fully trained staff offer every aspect of early skin cancer prevention, detection, and treatment - beginning with the most advanced non-invasive methods of detection, and leading all the way through MOHS surgery - and have extensive experience with rare skin diseases. We also provide the most advanced and effective cosmetic treatments, including botox, filler injections, microdermabrasion, and a full range of laser therapies. Personalization is at the heart of our philosophy; by evaluating our patients as thoroughly as possible, and designing regimens to specifically meet individual requirements, we set our patients up for success. Rao Dermatology offers evening hours, and accepts most major insurances. No wait. Friendly and thorough. Reassured me about the question I to see her for and also made some recommendations for my overall skin regimen. Bright, clean office. Look forward to my follow up. Both, Dr. Rao and Dr. Noor have impeccable bedside manner, are very knowledgeable and reassuring, which is why I will keep coming back. The office staff is polite and efficient. An overall very pleasant experience. Dr. Khokher was professional and proficient. Explained my treatment plan and how she expected treatment from here on out to progress. Would recommend.